Mayor Sorin Oprescu proposes elevated highway project with Chinese funding. 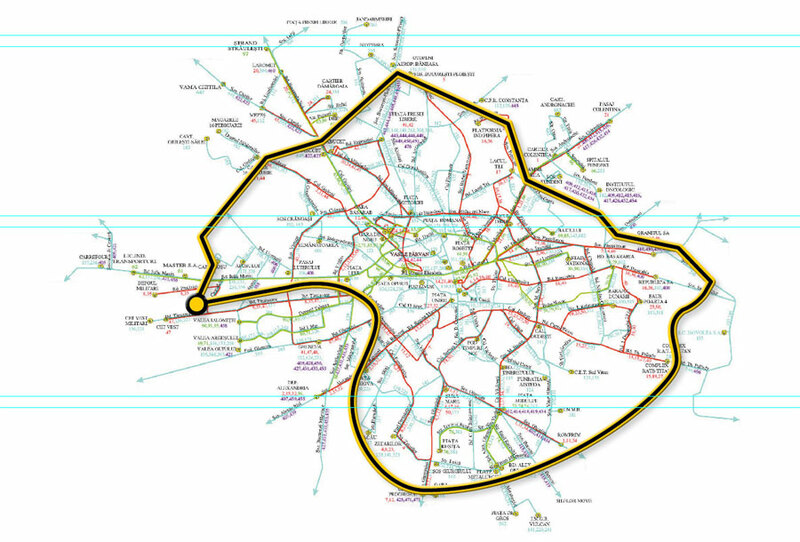 With a length of 52 km (30 mile), it would start in the northern part of the city, in the Petricani-Chitila zone, and reach the Bucharest-Pitesti highway intersection. 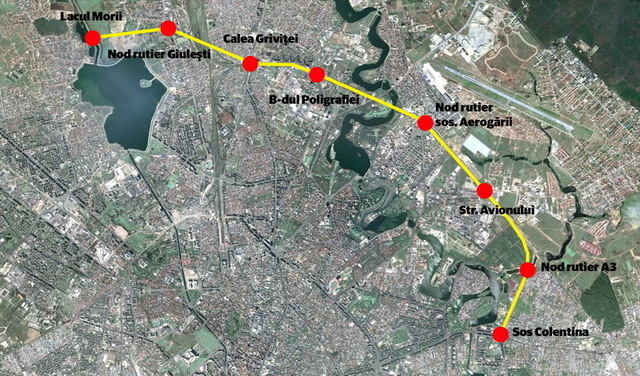 The road would pass through the Doamna Ghica zone, to get to the south of the city on Soseaua Giurgiului, after which parallels the Soseaua Progresului, up to the North Station zone, then the Valea Cascadelor, before leaving in Bucharest. But plans could undergo changes depending on discussions with the contractors that Oprescu identified in Beijing. The investment is estimated at nearly 800 million Euro. 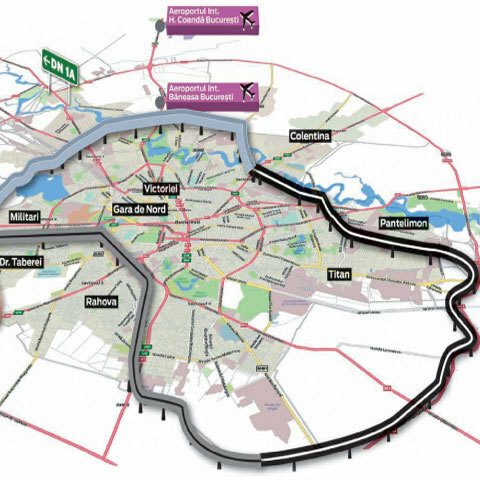 The elevated-highway project was mentioned for the first time in the mayorlty campaign of Bucharest in 2008 by Mr. Oprescu. The project was revived this week after he found Oprescu said Chinese construction entities interested in financing and implemening the highway plan. Initial work could take two to three years.